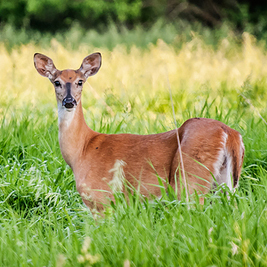 Deer infected with chronic wasting disease are doomed to a slow and certain death, eventually wasting away as they lose the ability to eat and drink. There is no cure and no vaccine, and the number of infected deer continues to rise every year. But University of Illinois scientists recently published a new study that could help explain the movement of the disease across the landscape.